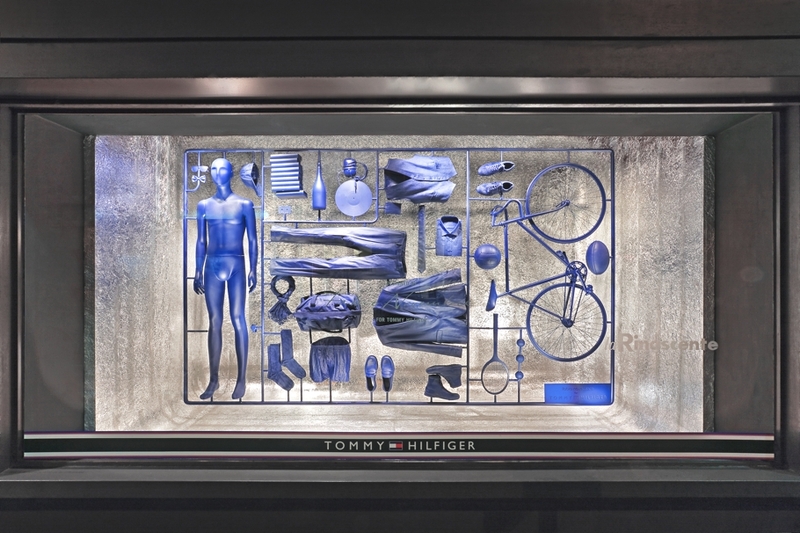 The collaboration was with Tommy Hilfiger for its fall 2013 Tommy Hilfiger Tailored campaign to create an artistic window display. 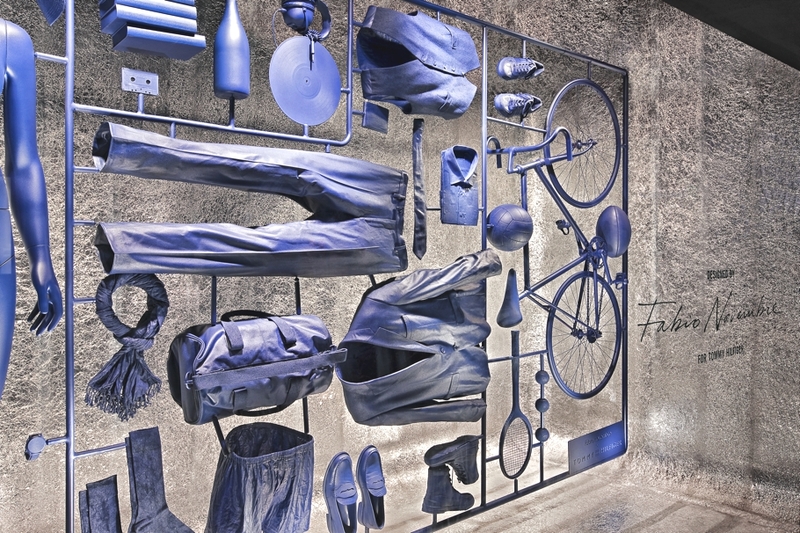 The unique installation was revealed at the La Rinascente store window display in Rome from September 10-23, and then in La Rinascente in Milan from October 8-14. 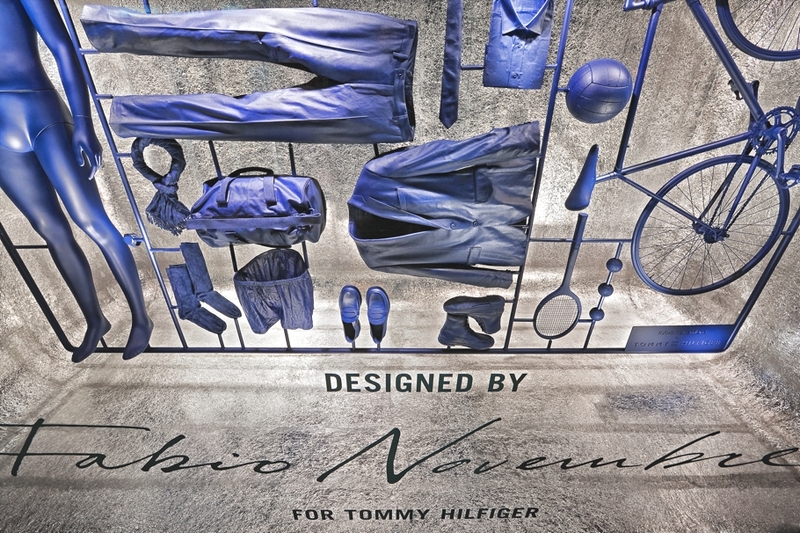 Titled “I Have a Lifestyle,” the installation is Novembre’s creative interpretation of a man’s wardrobe, incorporating pieces from the Tommy Hilfiger’s tailored collection. The piece features metal tubing with interlocking pipes running throughout, each coated with navy blue nitro and acrylic paint. 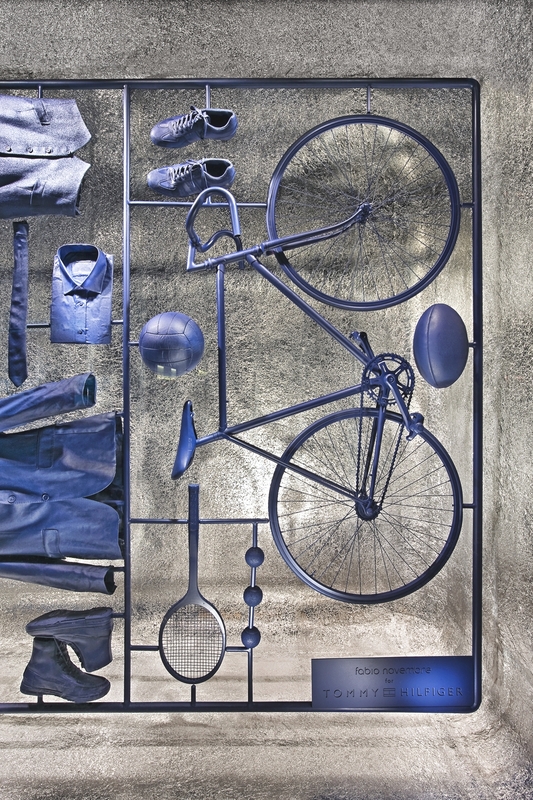 An expression of men’s lifestyle, the final result is a still-life composite of the essential items a man should have in his wardrobe inspired by Tommy Hilfiger’s quintessentially all-American aesthetic. 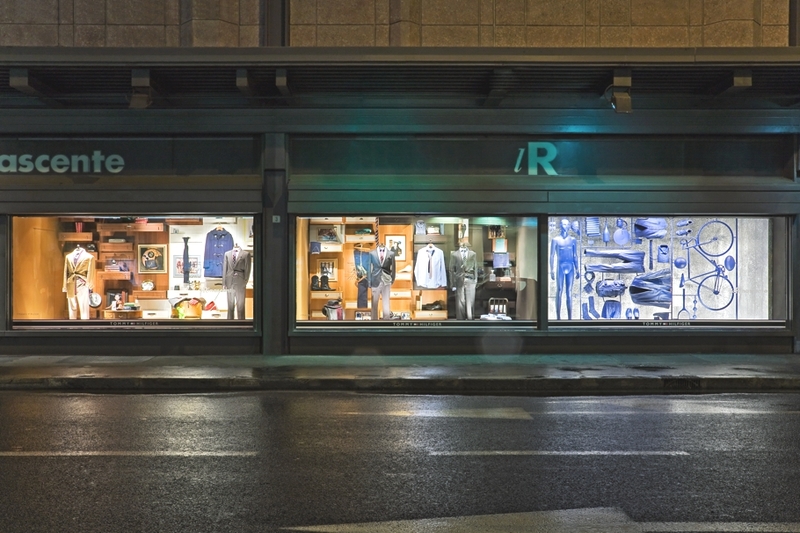 Novembre’s “I Have a Lifestyle” installation appeared in the windows of La Rinascente, Italy’s most renowned department store, in both Rome and Milan.